In 2019 I am starting an author newsletter–sign up here! It’s that time again—time to look at the most successful posts of this past year! You may have noticed this blog has been a little less active these past few years, but this year there is good reason for it—I’ve had several pieces published in other publications! Some of you fellow writers out there may be able to relate to plateauing as a writer for a period of time, and then suddenly making a breakthrough. Or, in other words, finally gaining a greater understanding of what would improve your craft. This year was a bit like that for me, for two reasons: first, I spent the first part of the year in school, where my brain was stimulated; and second, I had health challenges that restricted my ability to do things other than write (at times it even restricted my ability to write). So perhaps that’s a silver lining? For that reason I’m going to link to the very best of all the pieces I sent out into the world this year, not just my blog posts. At the end, I’ll give a little summary of my fiction adventures. If you succeeded in an area you hoped to succeed in this year, I’d be super interested in how you achieved that as well. Do comment below! Top Ten Works of Christian Fiction—What Are They? This is basically my realization of how difficult it is to classify Christian fiction, before one even attempts to rank them. I’m glad it was viewed so often—I do think Christian nonfiction gets more attention than Christian fiction, and this should be rectified. Another blog post that did well was Reasons for Declining Ebook Sales. This industry trend surprised me! I used to read the First Person essays in Canada’s national newspaper, The Globe and Mail, and think, I could write one of those. Except I clearly didn’t believe it, because I never submitted an essay. This year I did submit a personal essay about my experience seeking ‘useful’ work after graduating university—comparing my achievements to the useful potato-farming work my grandparents used to do. This is the first time I’ve been published in a national newspaper, so of course it’s the piece I’m most proud of this year. This piece was intense for me to write, because I felt like I was giving advice in an area of faith I hadn’t fully figured out myself! In addition, I didn’t want to write this one in a blog-post type of style, but I wanted to rather dig deeper and find more solid conclusions. As so often happens, the issue clarified itself for me as I worked my way through writing about it. I was glad to hear from readers that I managed to write about it from a slightly different angle than the topic is usually discussed from. I do want to take questions of human emotions seriously, especially emotions I experience myself. The other pieces I published this year are: On Not Hurting Anyone While Dating (Christian Connection blog), Shocked by Augustine’s Confessions , (Reformed Perspective magazine), and Tips for Christian Women—How to be a Godly Leader in the Workplace (Christian Media Magazine). One great benefit of writing these type of retrospectives is that it forces you as a writer to look back on your progress—I think I might not have realized I did achieve more this year than last year if I hadn’t set out to write this post! So this is an exercise I do recommend you creatives to do. On the fiction front, I just released a new short story for Christmas, I Believe in Santa. I also released Prince Charming in paperback! I had a lot of fun selling tangible copies that people could hold in their hands. Another ‘tangible’ work that I sold copies of this year is Six Decades, Three Generations—One House, a short personal story about the city I grew up in. This booklet gave me the wonderful experience of working with local retailers (Tix on the Square and Mandolin), which was quite exciting. So all in all, it was a year of new experiences! These inspire me to start the new year with new energy and new goals. I’m doing NaNoWriMo this month–National November Writing Months–that thing where you try to write a 50 000-word novel in a month. It’s good to write a full novel again. But it also reminds me how excruciating the process of creation actually is. The minute you try put that thing in your head down on paper, it just sits there dry and lifeless and so, so far from what it was meant to be. The idea you had was good. That’s why you started writing it. But the reality of your ability to communicate this idea with others destroys all your joy in the idea. The excellent thing about NaNoWriMo, and things like it, is that it forces you to keep writing despite your despair over your writing. If you’re going to churn out fifty thousand words, you can’t stop and mope. I think more than once in my past I’ve given up because my new project’s writing was objectively horrible, without continuing to work through to the reality that this horribleness only lessens if you keep creating. You can’t always think rationally about what will make your idea come to life. You’ve got to live with your idea and work it out, and somehow that breathes life into it. As creators and artists, we’ve got to live with the reality there will always be a gap between the ideal in our heads and what we produce. This is usually good–it’s this awareness of that gap that drives us to keep improving our skill. To keep getting better. Until maybe one day we do produce something good. In the meantime we do have to face the dragons of depression that come with creation. And it often is real, dark depression-y feelings, not a mild approximation of depression. A few thousand words in to this novel this month and I was absolutely miserable. I was only destroying what I had in my head, poisoning even the original idea I’d loved so much. Then I wrote a few words that were maybe a little bit good. And so I know it’s worth it to keep fighting to get that idea out. Failing at getting what’s in your head out in the world feels worse than never trying, but it’s only though grappling with your own thoughts, painfully facing your own limitations, that your idea develops. After all, not working with your ideas leads to depression too. I’m getting close to the end of NaNoWriMo now, and close to the end of the fifty thousand word goal I’d set for myself. Unfortunately, I’m nowhere near the actual end of my story. So it looks like I’ll have to force myself to stay in my writing habit after all! Have a great November, guys! If you’re doing NaNoWriMo too–may you have the strength to finish! Comment below on whether you’ve enjoyed creation–or just comment on what you think about the process of creation in general. The place my writing comes from inside me is dead right now. Probably not permanently, but dead for now. I’ve always thought of writing – and reading – as a kind of escape from reality. I’ve blogged about this more than once. There’s a contrary theory of literature that says the good stuff comes from the bad experiences – the emotional turmoil – the realization that reality actually is incredibly ugly. This theory may be right, but I don’t have enough distance from the ugliness to put it in words yet. Maybe I never will. And I know the joy in the escape from reality will come again – I still feel it pulse inside me – but I can’t create any escapes on my own at the moment. Time will show how life experiences has changed me, and, in turn, how it has changed my writing. But for now – this is the reason my blog is neglected. This is the reason I haven’t posted for months. I look forward to the day I rejoin the writing world. Writers write what’s real. They try to connect with some reality in the readers’ experience, and inspire emotions that complement the work they write. They try to represent the world as it truly is. That is one theory of writing’s purpose, anyway. The problem is, reality really bites. Then a lot of awful stuff happened in the world (some of which is obviously in the news, and some of which is just learning things about people you never wanted to know.) Then my ability to capture the true darkness in words falls so far short. Because it’s so hard for me to face the depths of darkness. And I don’t want to do it. Some writers can – dive into the depths of evil and show it for what it is to the world. And this is important. But is it what I – who shrinks from true evil and know its true strength is far beyond my own- am meant to do? Then I escaped into the movie Casablanca – a fictional world which pretends to represent reality but in actuality stereotypes and simplifies it – and was drawn in. The story took me away. It ended on hope. And now I believe there can be two types of creators/writers – those who don’t flinch from portraying problems and showing the ugliness of reality. And those writers who help escape from reality, and use fiction to remind us what it’s like to hope. In real life, Harry Potter may’ve never escaped his cupboard. He may’ve been abused his whole young life, or been so psychologically scarred he could never function in any world. Frodo might’ve never gotten out of Mordor. Elizabeth Bennet would’ve end up penniless and husbandless, dependent on the mercy of Mr. Collins in her old age. But, instead, these stories provide hope and escape, and show me a way to touch on reality without giving into the full terribleness of it. I started this blog in 2009–wow, that’s a lot of blogging! This year was definitely less active for me in the posting department, as I’ve had a lot going on (see Paris, and my Job and Apartment update). However, I refuse to neglect this blog! 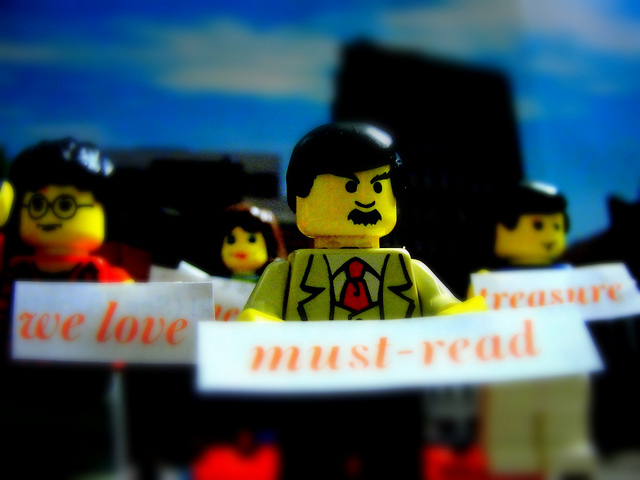 I love to debate the joy of stories with you all–as both a writer and a reader. Stories need to be not just heard, but chewed over and hashed out between us all before they solidly enter the age-long human conversation. Let’s soldier on with this! So this blog will not die any time soon, though I think the upcoming year will be a good time to branch out and try new things. However, if you’ve enjoyed stopping by here this year, or even if this is one of your first visits, check out what was big at Stories and Stuff this year in the list below. Then check out the rest of my work by visiting my Stories tab up at the top. 1.) J.K. Rowling is Not Dead – But Why Does She Want You to Know What Harry’s Up To? This post was a response to J.K. Rowling’s update on her Harry Potter world–in other words, the explosive revelation that Ron and Hermione’s marriage might have been a ‘mistake.’ Obviously this was going to be a top post! In it, I dissect the dilemma of how much control an author should have over characters once they finish a work. Do they still get the last word on what’s going on in the characters’ lives? Or can we declared ‘death of the author’ and continue the characters’ lives in whatever vein we, the fans, please? Here I take a go at people who get snobbish about the English language, at the expense of allowing English to change. One of the wonderful things about English is its flexibility and ability to change as people use it. Ah, of course everyone longs for my insights into single-ness. My happy update explaining why ebooks has not killed the printed book – or bookstores–and that hopefully the two will comfortably coexist. Secondly, I love to see several of my older posts are still popular! Number one among them is ‘Tolkien’s ‘Take That!’ to Shakespeare.’ I guess The Hobbit has kept Tolkien pretty relevant in 2014, and I am always happy when Tolkien is popular. My top piece of fiction hosted here is ‘Thoughts of Mr. Knightley,’ a Jane Austen-inspired vignette I posted a few years ago. I do plan to sharpen my writing skills by trying out a few more of these in the upcoming year, so stay tuned for that! When it comes to my ebooks, Prince Charming is by and away the favourite – but I also repackaged Why Polly? into a nicer ebook format, which has been successful. (Some of you may remember this one being serialized right here on this blog!) Thanks to all of you who supported these ventures by buying, reviewing and sharing these stories. More ebooks to come in 2015, as always! And tell me in the comments below how your holidays have been! Any big goals for 2015 for all of you? Do You Use ‘Alot’ A Lot? Hopefully you realized there were two spelling of ‘a lot’ up there in my title, and hopefully you also realized one of them was not grammatically correct. Why not grammatically correct, you ask? I don’t know – the spaces lobby argued we should all use the space bar on our keyboards more often? That is why I was SO HAPPY to see someone finally speak up in defense of ‘alot’. James Harbeck argued today in Slate that just like ‘ahold’ and ‘awhile’ were finally somewhat accepted in English, ‘alot’ is likely here to stay. Whether it’s official or not, whether grammarians screech or not, likely enough people will keep using it until it’s finally accepted. But oh, wouldn’t it be nice to skip typing that space. Why, oh why, should ‘a lot’ be two words? Using ‘alot’ doesn’t wreck anything about the English language. It’s simple and understandable, and the only thing holding it back is that it’s nonstandard. So here’s to hoping in fifty years or so my arthritic hands will be typing ‘alot’, a lot. See also: Rant on “Ruining the English Language” and What, the English Language Changes? Literally? Whoa, whoa, whoa! Was not my last post about handwriting? How handwriting stimulates creativity and word productivity? Very true, but since then I’ve run across the article, ‘The Joy of Typing,’ which strikes back at the idea that typing reduces the quality of your thought. Typing, the author Clive Thompson argues, does not make us stupider. Handwriting is great for note-taking, he goes on to say, because it prevents us from robotically recording every word we hear, and instead makes us think about how to shorten what we’re hearing into something we can write down. But typing is better for creating original works, because the speed of typing enables us to get all of our ideas down. This is due, he argues, to something called ‘transcription fluency’ – getting down on paper the ideas you have in your head. Transcription fluency is improved in handwriting by teaching kids to practice making their letters until they don’t have to think heavily about each word they want to express, they can just write it. 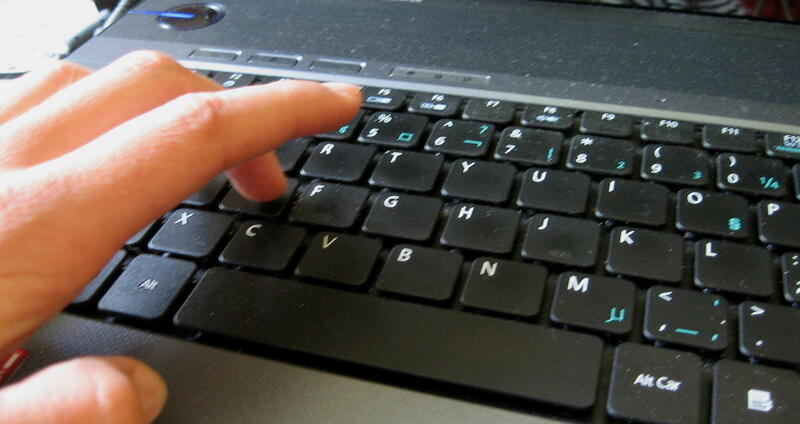 When it comes to typing, this involves teaching kids to type properly instead of with that two-fingered typing method. The more fluid you get, the more likely you are to get your ideas down before they slip away – and obviously the speed of typing makes it superior to writing in this respect. Kids, Thompson argues, often DON’T learn proper typing, while most schools still do focus on printing with a pencil and paper. And you know what? I am utterly grateful my dad sat me down one summer and forced me to learn to type – This is will help you in highschool and university, he said, and he was absolutely right. I never typed notes in class, but I did type out dozens and dozens of essays, book reviews and assignments. And if I’d continued to hunt-and-peck at the keyboard like I remember doing in elementary school, I probably still wouldn’t be graduated now. Did knowing how to type help me with my ‘transcription fluency’? After thinking about it, I think it probably did. I remember working in group projects where I’d try writing up the project with a several other people, and these people would just struggle with their section of the report while I pounded out my ideas in no time at all. I always figured it was their problem of overthinking every little word that they typed – that it would be better for them to just type something, and go back and fix it later. However, maybe it was directly related to their typing ability. Maybe they overthought every single word of their sentence because their typing ability was so slow that the sentence had to be good enough to actually be worth the effort of typing. Where my experience doesn’t line up with Thompson’s arguments is where he states the ‘transcription fluency’ that comes with typing leads to higher quality writing – that once people could express their ideas at a pace of at least 32.4 words a minute they produced more coherent and readable writing. Like I said, my quality of fiction decreases drastically when I type (though I suppose the possibility is that I haven’t reached a high enough word count to get into a proper writing ‘trance’?) I feel like I miss my brain’s filter when I stare at a computer screen with the ability to pound out words as fast as I think them. I miss my ability to compose and recompose while my hand struggles to put those sentences on paper. But that is possibly just my own idiosyncrasy. After all, I don’t notice this when typing nonfiction. In the end, I’d argue that knowing BOTH how to write and how to type are important. I never thought about how much I relied on typing until I read Thompson’s article, but I really, really do. Not for creating fiction – I seem to have some sort of technology block in my head when it comes to that – but certainly with creating nonfiction (like this very blog). With nonfiction, you need to be able to constantly rearrange sentences, and create and delete them. But handwriting stimulates different sections of your brain, and sometimes you need that too. This is pretty much the conclusion Thompson comes to too. Ideally, teach yourself to be fluid at both. Your writing might thank you for it. Any further comments in defense of typing?